The last 10 years this industrial district experienced radical changes, and become one of the most attractive and dynamic districts in the city. Barcelona is known for its leadership in developing new forms of social and economic organization. Poblenou was chosen to create a new model of growth based on social cohesion and sustainable economy. Thus was born the already well-known 22@ economic district. This 2017, 22@ is an exemplar city model of integration, and there are already many other areas in Barcelona, ​​other regions and other leading cities that are applying the same model. This is the case of cities such as Cape Town, Istanbul or Rio de Janeiro, cities with a lot of cultural variety, and cosmopolitan centres of an advanced lifestyle. These places can experience how this model equilibrates their cities; since each of its zones is assigned to a function (city court zone, economic district, etc.). The main idea is to give these zones with less purchasing power, tools to grow up and be as strong as the others. More than 7,000 companies already bet their future growth options on the 22@ district. This number is more than double since this project was born, at the beginning of this century. Not only companies, 23% more citizens or an increase of more than 56,000 workers gives more credit to this kind of economic growth. Much work has been done in this district, but it is not yet 100% implemented, the current percentage is 68%, and many companies are projecting their new headquarters in this district. This is the case of the huge textile monster Inditex, who plans to settle in this neighbourhood. The new projection wants to increase 4 million of land square meters, 3.2 of them dedicated to productive activities, services, and around 800,000 homes, 3,000 of them as an officially protected. This situation generates a large new housing park and a world of opportunities. Investors and companies saw the possibility of installation in a city like Barcelona, ​​at very competitive prices, if we compare with other parts of Barcelona, where is not possible to find low offices or spaces. Not only big cities realized that this is a successful model. 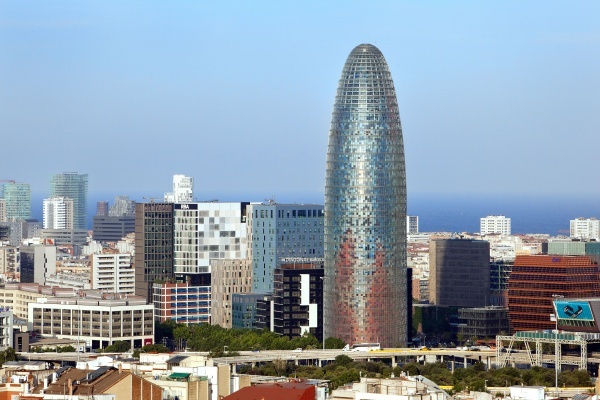 Citizens also interpret this development in a positive way, these days more and more people are searching for a property to buy in Poblenou in order to establish their life here. Investors are also being attracted by its rapid growth, and by the wide demand that makes the area increase its value at a frenetic pace only fit for the savviest.